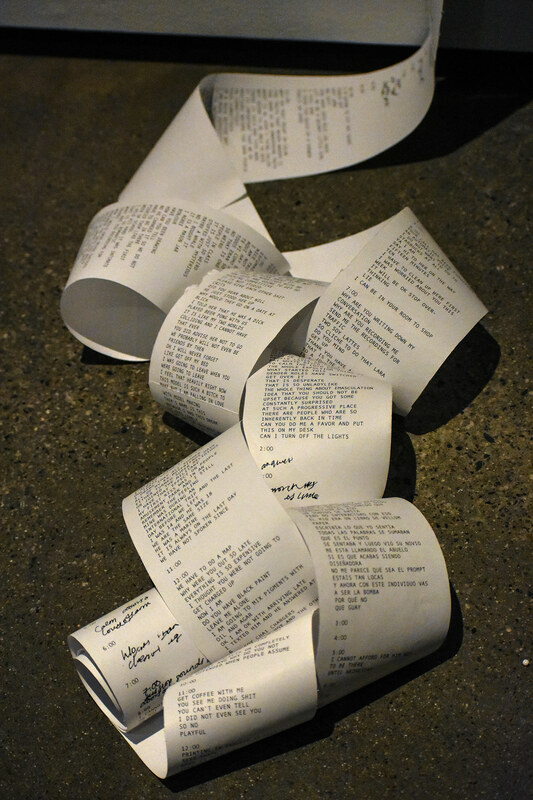 A receipt that documents sound at every hour of the day for six consecutive days. Each statement refers to audible transactions such as music, traffic, direct interactions, overheard conversations, and phone calls. Recording sounds out of context and stringing them together gives rise to an immediate narrative that would otherwise be disposable and muted. The nature of writing down and recording ultimately dictates memory as there is an active attempt to filter and retain interactions. The process of setting alarms to write down heard observations is human and therefore imperfect as many hours are left empty. The chronological list format and monospaced typography feel calculated while the content and gestural writing elicit interpretation. Waking up throughout the night reduces handwriting to an illegible scribble, similar to the signature at the end of the receipt. 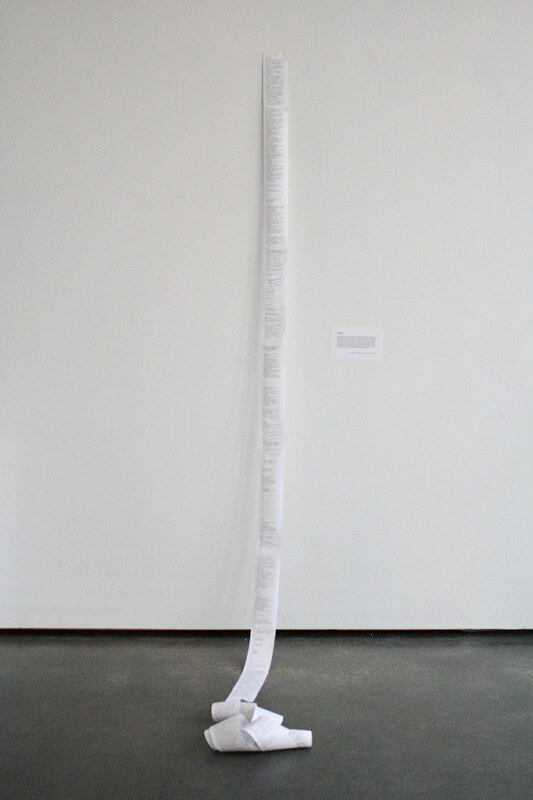 The final statement, “space is never neutral” refers to the concept of a barcode, where it is not the black lines that read, but the gaps between them as though the narrative is being identified, weighed, and priced.